Whether or not you keep your hair covered as a Sikh woman, having beautiful, thick, curly hair is easy to achieve. Resistance begins within the body. That my form was as natural as flowers growing from soil. Growing healthy hair and keeping it shiny and full depends just as much on the foods you eat as it does on how you care for your hair. “Don’t you feel hot under your turban?” asked a colleague. I smiled, and replied to his curious question “No king has ever felt hot under his crown. And for Sikhs the turban is their crown”. he exhibit features six intimate life-size portraits of three Sikh men in their bedrooms, their long unshorn hair — an article of faith to Sikh men — out in the open. 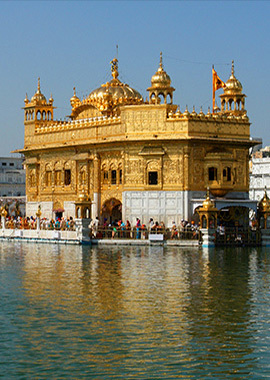 Sikhs believe that God is a perfect Creator. Whatever he creates is perfect. The keeping of uncut hair is therefore recognition of God's perfection and submission of a Sikh to the Will of the God. He had been staring at me in a strange way since the time I noticed his presence. After a brief smile, he came up to me and explained the reason behind his behavior. Why do you have that thing on your head? He asked. [VIDEO] The less than three minute videos poppy feel, unique fashion and Sikh pride are probably factors that contribute to this video already going viral on the internet. I say, don’t be sluggish and don’t get down! It’s important to understand that we are humble servants here to courageously serve humanity. Kaurs may feel alone and isolated with no one as a role model or no one to talk to about their challenges. In attempt to build community and learn from one another, Kaur Life reached out to its readers to find out how they handled the pressure to shave and how they resisted the razor.